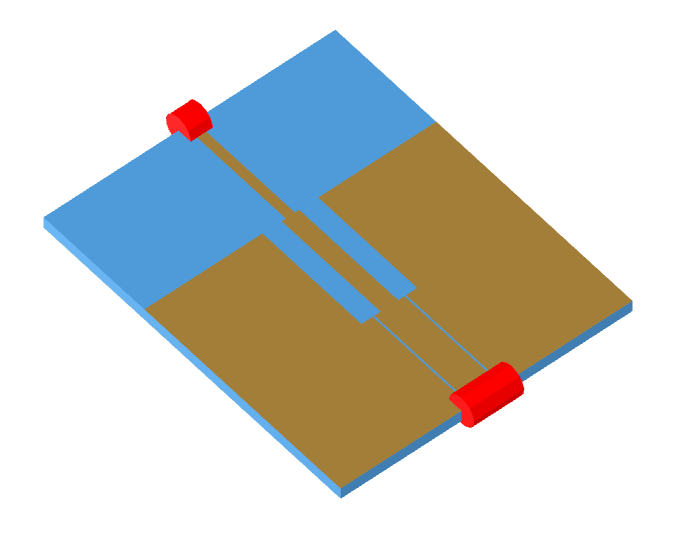 Image of the Microstrip to CPW transition. The Microstrip to CPW transition makes use of a gounded-CPW (also known as conductor-backed CPW or CBCPW) section to provide an efficient transformation between a CPW line and a microstrip line. 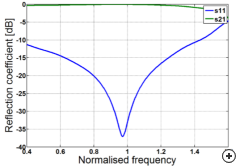 The transition effectively acts as a mode and impedance transformer between the 2 transmission line sections. 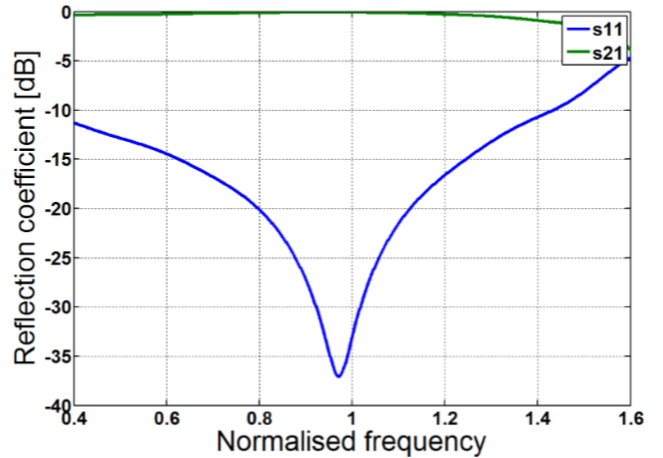 The figure below shows the typical reflection response for a transition with a substrate height of 2.9% in the medium, a relative permittivity of 3, an input impedance of 75 Ω and an output impedance of 50 Ω.